Youth Leaders and Teen Entrepreneurs Take the Stage! We are excited to announce our next Ignite event on Thursday, February, 25th at the Studebaker Hangar at the South Bend Airport! Ignite Michiana is partnering with St. Joe CEO, a year long entrepreneurship immersion program for area high school students to produce an event featuring all youth speakers. To learn more about St. Joe CEO read this South Bend Tribune article. The goal of this event is to showcase the youth talents, passions, and accomplishments. We promise that you will leave inspired and excited about the next generation. “Pre-boarding” tickets are on sale now. Click here to purchase your tickets! It’s time to showcase our talented youth and teens at the next Ignite event. Young people in the greater South Bend region are up to great things: creating apps, building robots, tending bees, composing original music, solving problems of violence and poverty, leading the way through the arts, science, technology and a whole lot of moxie! Our youth and teens care about the world around them and we’ll be shining the spotlight on their achievements, passions, unique hobbies, and dreams for the future. Our target date for IgniteKids! is Thursday, June 25, 2015 6-10pm. If you are a parent, mentor, teacher, youth program coordinator or just know an amazing young person who could deliver a 5 minute talk accompanied by 20 slides, please contact us at ignitemichiana@gmail.com or use the “Contact Us” feature on the website. Our Ignite Michiana #3 Speaker Line up! Who are this fall’s Ignite rock stars? Let me tell you, this line up gives me goosebumps! We have an incredible group of speakers who are already working hard on their talks. Prepared to be wowed! It’s been a while but Ignite is back! On Friday, November 21, 2014 we will pack The Brick to hear 18 talks from some of Michiana’s most passionate, innovative, and down right inspiring people. Have you got a story to tell? At Ignite you’ve got 5 minutes to do it! Click here to link to the submission form. We’ve got a fast turn around time on this event, so submissions close Saturday, October 18, 2014 at noon and speakers will be announced on Monday, October 20, 2014. There is no set theme for this Ignite event – we are going to surprise our audience with a line-up talks on diverse topics. Bottom line though, Ignite Michiana #3 will change how you think and feel about South Bend. Laureen E. Fagan – No App For That: Innovate Your Own Good Life – Program and Operations Assistant, Neighborhood Resources Corp.
We had an overwhelming response to our call for submissions for November 7th Ignite Michiana #2 “Innovation and the Good Life.” We promised to let our presenters know this week if they were selected but our team hasn’t been able to review all of the submissions yet. We will definitely let everyone know by Monday, September 16th if they are part of the fall line up! Thanks to everyone who took the time to share their personal passion, community project or business. Once again, the Michiana community shines – our audience will be surprised and delighted by the range of talks! Mark your calendars, the second Ignite event date has been set! Thursday, November 7, 2013 at the State 6:30pm. The theme is Innovation and The Good Life. Apply here to be a speaker. Tickets will be available here September 20th. First Ignite presenter videos now online! 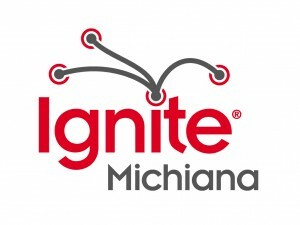 Did you miss the first Ignite Michiana event? Wish you could watch a presentation again? Well now your in luck! The presenter videos from the first ignite event “Innovation and Sustainability”, are now available to watch online. Check them out! Thanks to IUSB media! And thank you Jennifer Stephens for posting them on youtube! Program ready for thursday, check it out! The final program is ready. Check out the great line-up of speakers and topics!